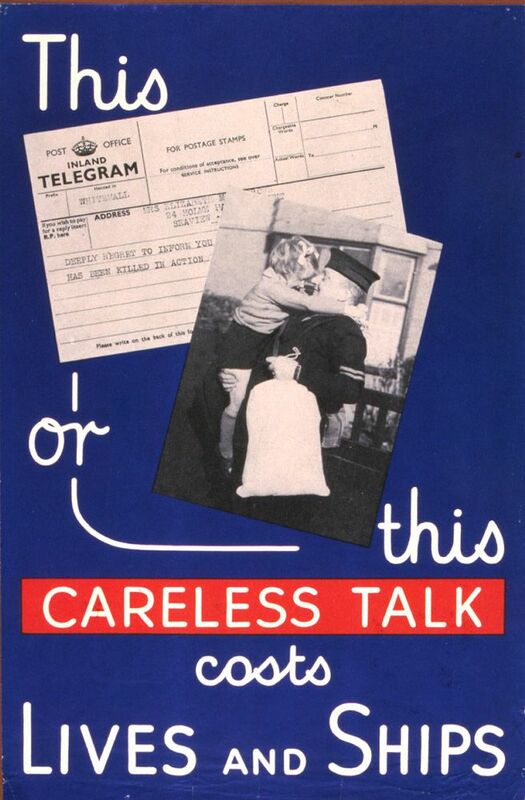 Second World War propaganda poster with photographs of two scenarios of careless talk, one of a Naval rating with his daughter, the other an admiralty telegram recording him missing in action. This Careless Talk Costs Lives and Ships Art Print is created using state of the art, industry leading Digital printers. The result - a stunning reproduction at an affordable price.